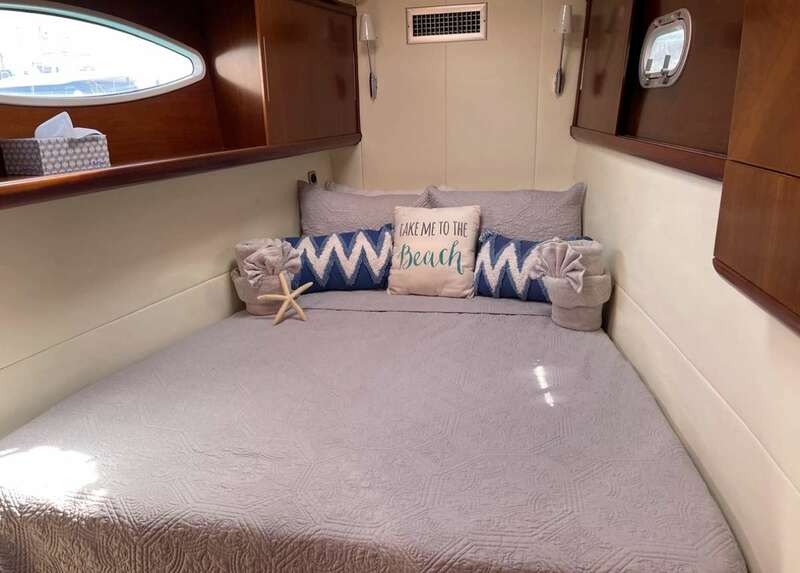 A Fountaine Pajot Eleuthera 60', Vivo is ready to welcome guests aboard for a luxury sailing vacation that packs fun, adventure, relaxation and great food into every single day. 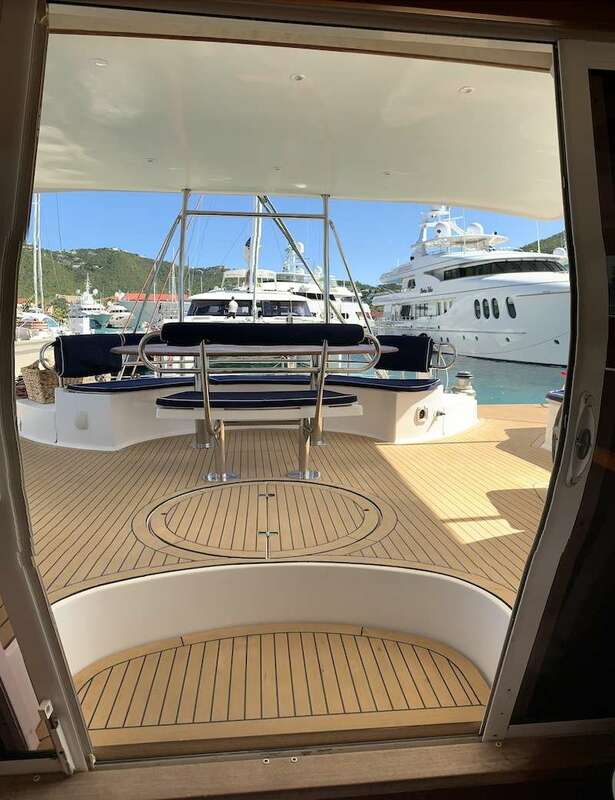 From the water, the boat's 60 feet of waterline are truly sleek and beautiful and the yacht is admired where ever she goes. Every accommodation feature is beautifully styled to create a perfect atmosphere for relaxation on board. The huge main salon has 2 seating areas, a large table and a settee with a cockpit table. Guests can relax in the air-conditioning under sail to the next destination, or chat with the chef as she prepares the next meal. Most guests prefer to eat and lounge outside in the huge shaded aft seating area. 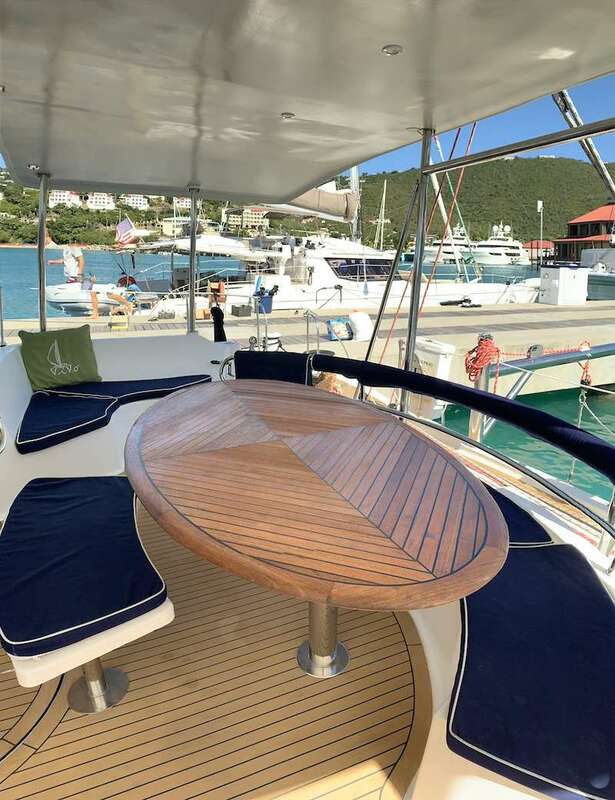 With padded benches on either side and a big teak table for meals, this area is the primary gathering place during charters. Below deck the 4 cabins offer privacy and quiet. Each cabin has full A/C and a private head. 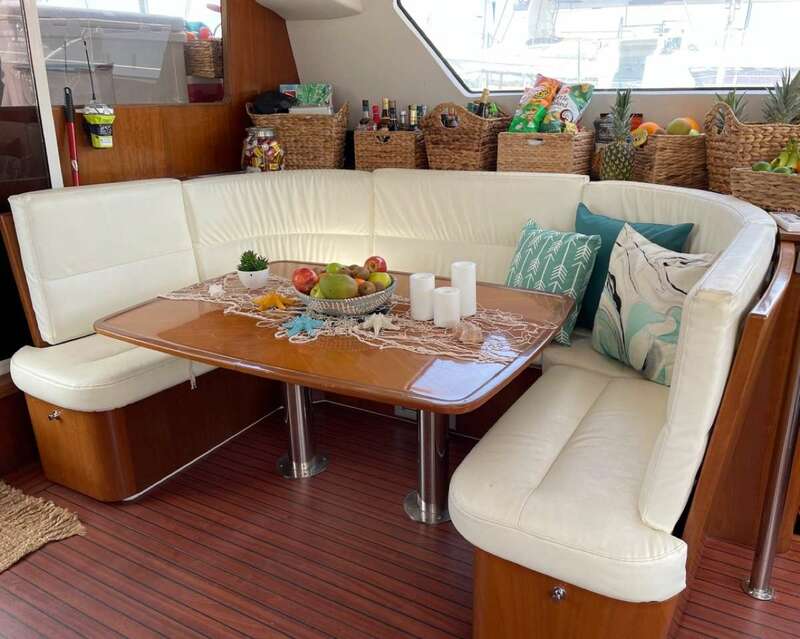 A double cabin off of the deck is perfect for kids to have their own space on board, so that up to 8 family members can enjoy their charter vacation without feeling crowded together. 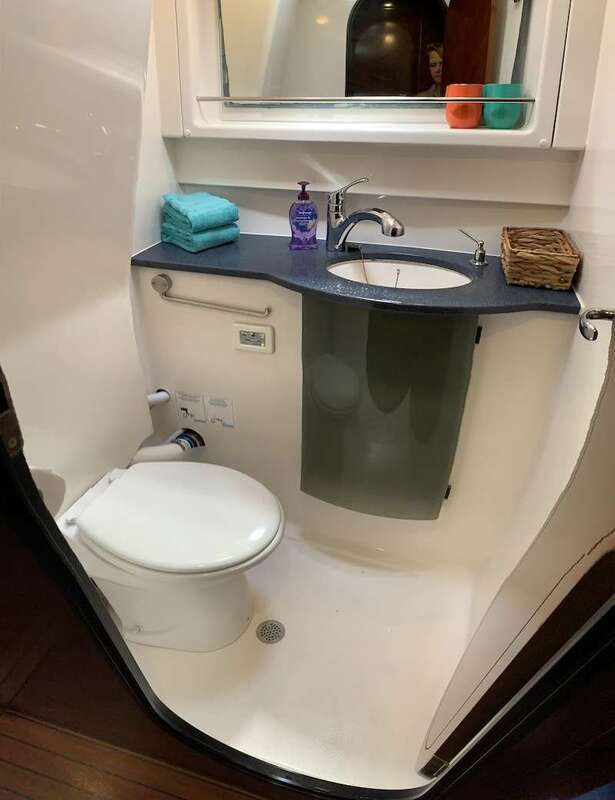 This cabin also has an en suite head with sink. 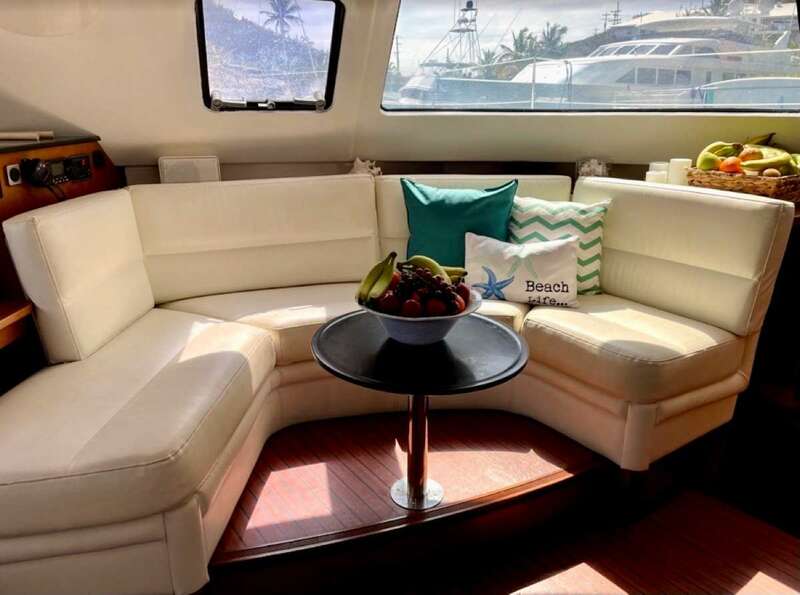 The crew will move to the aft cabin for groups of 4 couples for an additional fee. Interior lounge table. Ready for guests to board! The formal interior dining table. Lounge benches flank either side of the table. 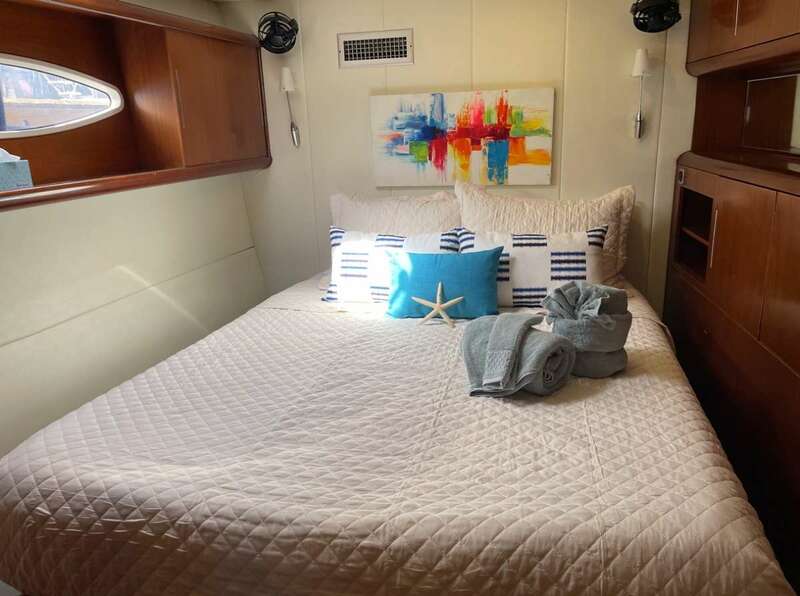 Vivo sleeps 8 guests in 3 interior cabins and 1 exterior cabin. Each has private head. Climate control in every cabin. 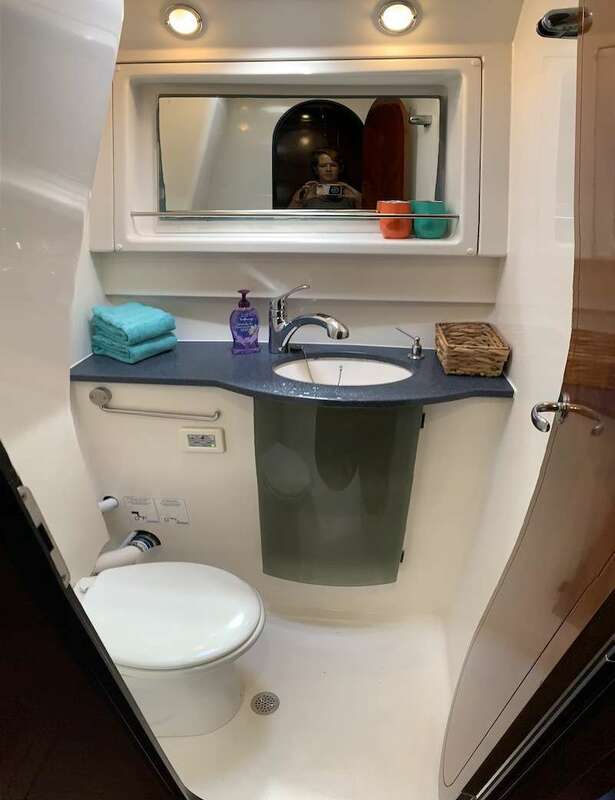 The 4th Kids Cabin has a private bath and entry off the deck.